In lieu of flowers, donations may be made to the Wade Edwards Foundation which benefits the Wade Edwards Learning Lab. 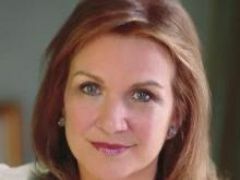 Elizabeth Edwards is losing her battle with cancer. The family is gathered around her in Chapel Hill, North Carolina and released a statement saying that doctors have said further treatment would not be productive. Elizabeth Edwards was on Countdown tonight. She said there's no reason for her husband, her or Gore to endorse. It wouldn't stop the "bloodletting" between the candidates and settle anything. In other words, endorsements are of limited value. She also said while she prefers Hillary's health plan to Obama's, she's glad that both provide for universal coverage. E.J. Dione wondered whether Edwards might not get back in the race as the only electable candidate. He wasn't serious, but it's an interesting thought. Elizabeth Edwards has joined Center for American Progress, (home to the excellent Think Progress blog) as a Senior Fellow on health care issues. She'll also be blogging as part of their rapid response team at the Wonk Room. In an interview with "Good Morning America's" Robin Roberts, airing Wednesday, Edwards — who recently began work as a senior fellow at the liberal think tank, the Center for American Progress — said she believed Clinton's health care plan was more inclusive than that of the Illinois senator. "You need that universality in order to get the cost savings ... I just have more confidence in Sen. Clinton's policy than Sen. Obama's on this particular issue," she said. Salon has a long interview with Elizabeth Edwards today. She says John Edwards is a better candidate for women than Hillary. Look, I'm sympathetic, because when I worked as a lawyer, I was the only woman in these rooms, too, and you want to reassure them you're as good as a man. And sometimes you feel you have to behave as a man and not talk about women's issues. I'm sympathetic -- she wants to be commander in chief. But she's just not as vocal a women's advocate as I want to see. John is. And then she says, or maybe her supporters say, "Support me because I'm a woman," and I want to say to her, "Well, then support me because I'm a woman." The question is not so much how she campaigns -- that's theater. The question is, what does her campaign tell you about how she'll govern? And I'm not convinced she'd be as good an advocate for women. I think they are both good advocates for women. But I'm more interested in them being strong advocates for all Democratic issues than on issues solely affecting women. I don't see how we could go wrong with either Hillary or John Edwards. Update: Ana Marie Cox weighs in and notes Drudge's false headline on this.